"Carol, first of all let me tell you how beautiful your watercolor apples are! They blush in a most lovely way". Really? I looked for the apple watercolor and couldn't find it. 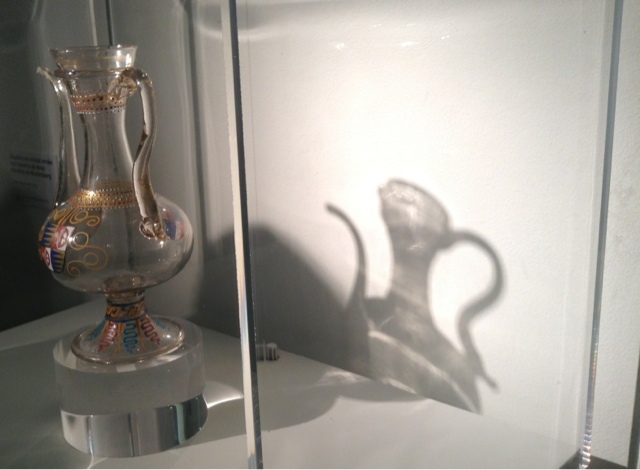 Hmmm...what about going to the Murano - Fragile exhibit at the musee Maillol to brush up on painting transparencies and blushes? Normally I'd think,"oh I've been to Venice...seen that..but boy am I glad I went. 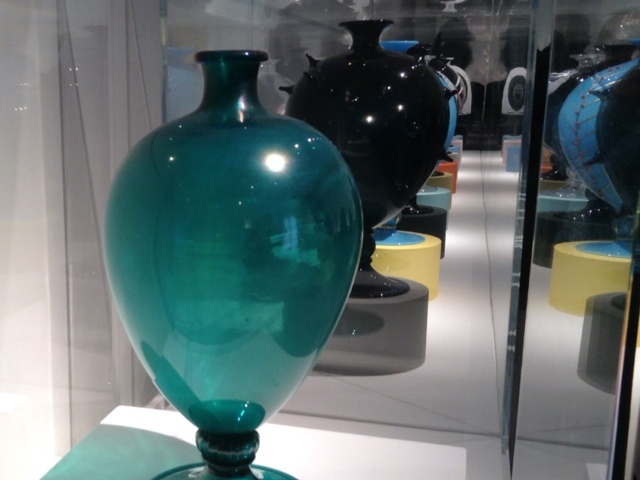 Around 200 pieces covering 700 years of master glassmaking. 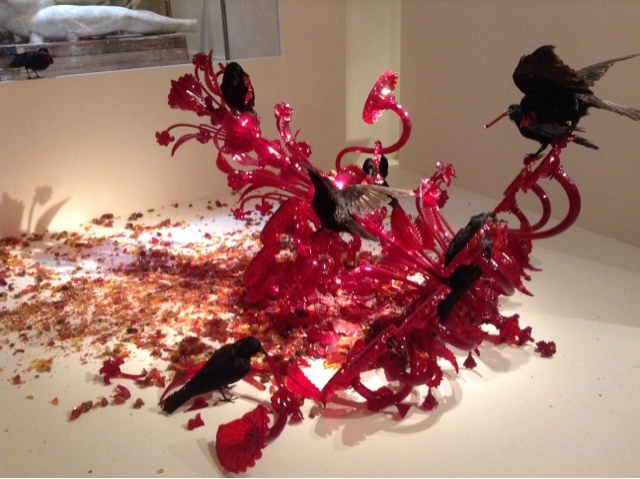 This is the "piece de resistance" by Perez (2011) symbolizing life, death, tradition, change, blood, you name it. Better call it the "broken piece de resistance". 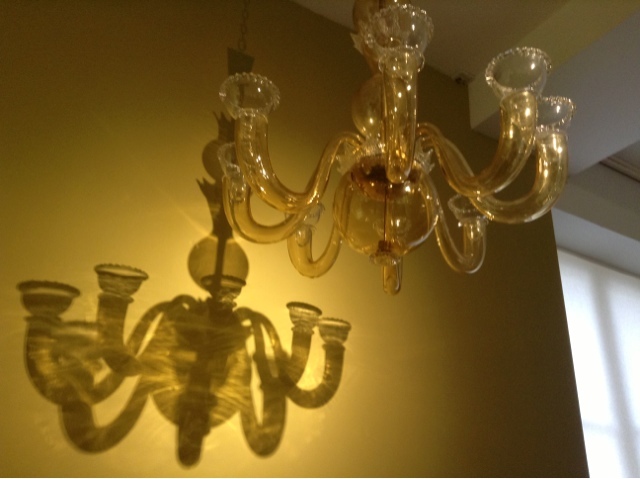 Based on this traditional filigree chandelier from the 18th century. 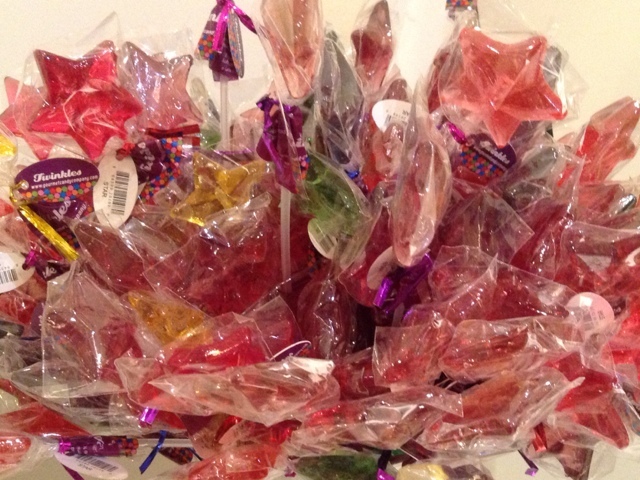 Based on this bunch of glassy lollipops/sucette at le Grand Epicerie? Hard not to gasp at the delicacy of many piece using filigree techniques inspired to produce imitations of antiques. These by Verrerie FratelliToso around 1900. A whole row of them in fact. 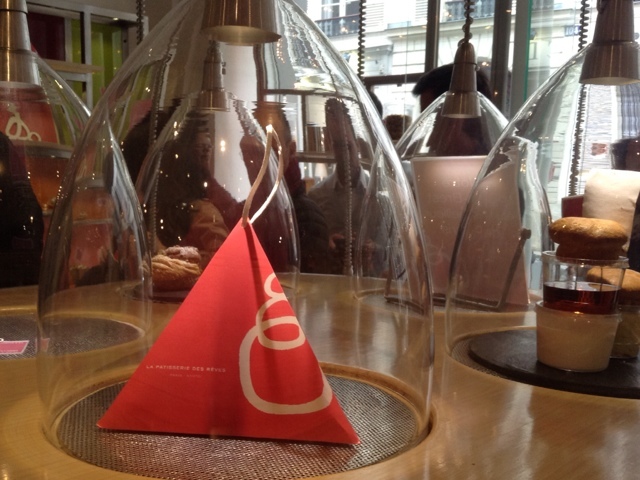 Head back to 93, rue du Bac and turn left for Patisseries des Reves' glass globes full of edible treasures post-exhibit. 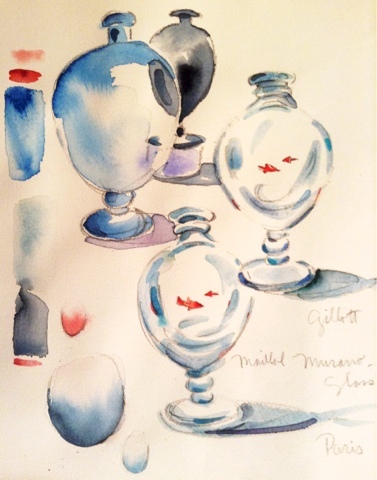 Alora, my watercolor washy glass vases..must go back and look some more. 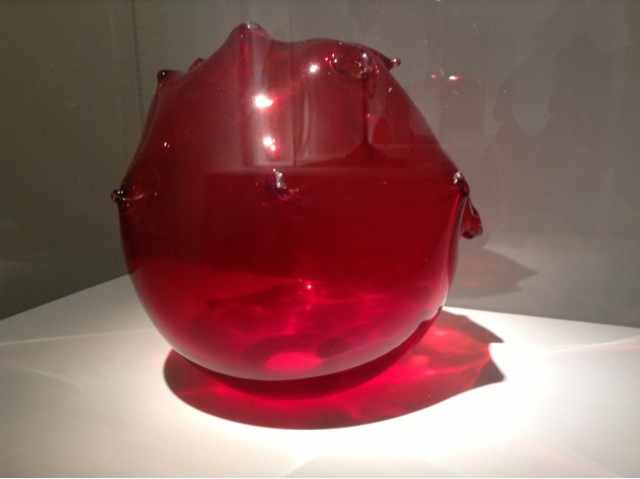 Murano - Fragile at the musee Maillol till 28 July. Every time you show us such beautiful things. I've just been given a red Murano glass bowl with an assortement of glass bon bons in it. I have been lucky enough to have visited the isle of Murano, right near Venice….extraodinary ateliers, such beautiful craftmenship. 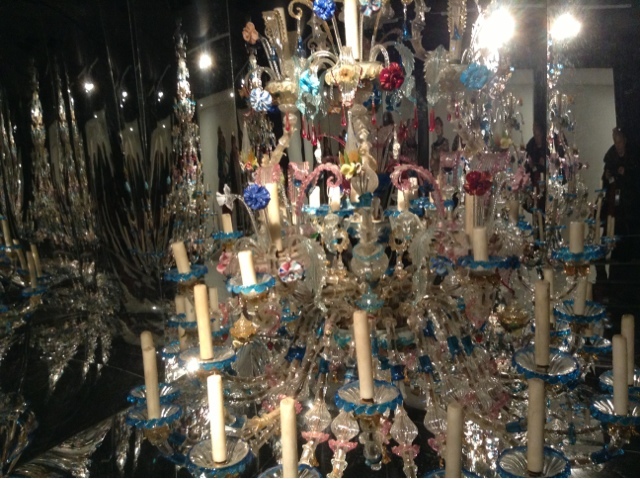 The little island of Murano is also “mouthwatering” with the traditional lace made by the fishermen’s wives. You "took” me “back there”, thank you. 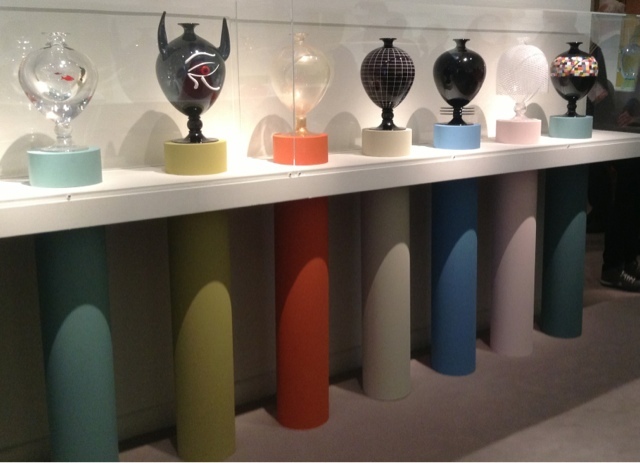 I agree, the artist's studios in Murano are breathtaking! Could it be that you meant the Island of Burano regarding the traditional lace making? If you have not been there, don't miss it on your next visit to Venice! Are you going to the Biennale in Venice? I'll be there, at least twice. 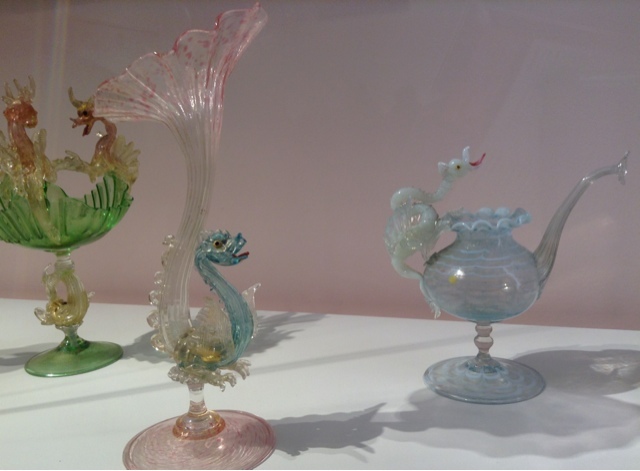 I saw the most wondrous Murano glass art the last time around, among other fabulous artwork. It really is worth going, I still feel inspired by all those artists I admired two years ago, there, in Venice. 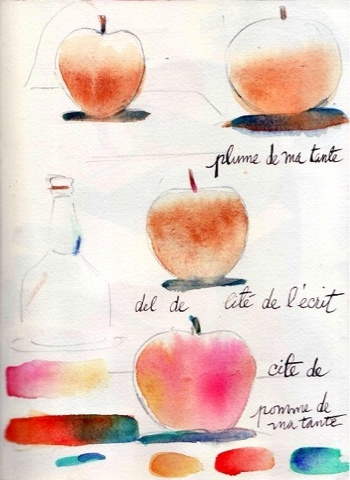 no idea...I never thought about it..
Blushing apples... magnifique! So jealous of your Parisian adventures... NYC sends its regards! I love the way you paint see though things too like flowers in a vase..or a vase alone.. It must have been fun.. I have been to Venice and fell deeply in love.. It was so romantic to me..at night? Well.. Le top. Great light photos, Carol, but the fish wins as my favorite...it's so clever. I have yet to make it Reves..my list for the next trip keeps growing. Have you ever looked at the work of Dale Chihuly. His studio is turning out amazing glasswork. I look forward to your blog and sometimes have to save it for when I have a few moments to spare and can enjoy it. Your sojourn in Paris sounds delightful. 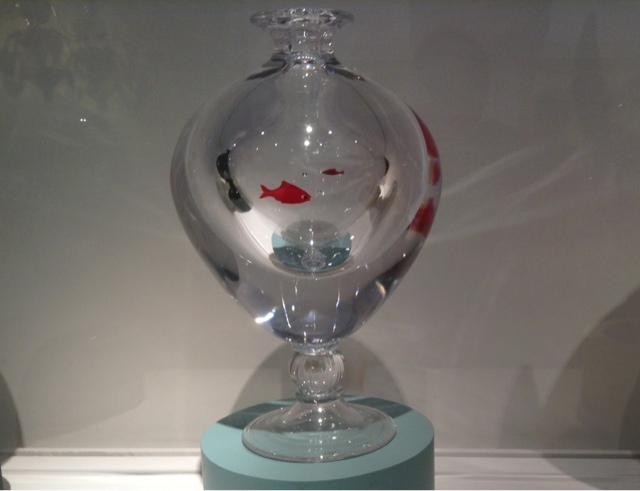 Stunning exhibit - I love the piece de resistance! The crows really set off the glass glittering! How very lovely! All this color is simply dazzling! And I do love the blushing apples. Oh, I love it all! That glass work is amazing, & your photos of it. What happened to the bear you had before the black and white one. I hope l am not dreaming but am sure l can remember a golden one. Jill there was a mini Bear...dollhouse size. he got left behind I think...must check. Thanks for reminding me. 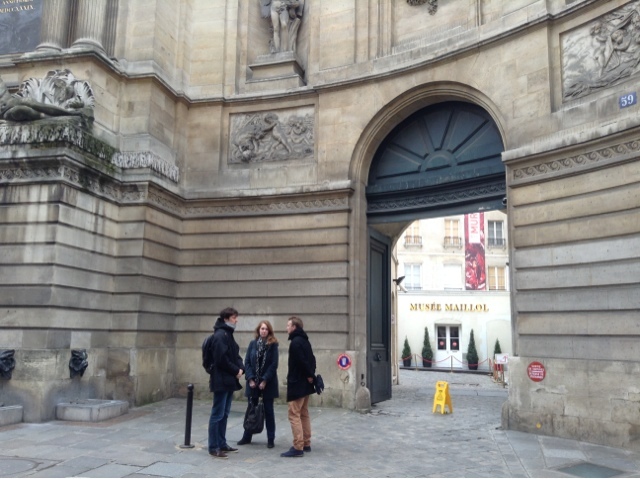 That must have been an intriguing exhibition, there is so much going on in Paris all the time.